E is for Explore! : EGG-cellent Experiments! Naked Egg - create a bouncy egg! Kids dissolve the shell away with vinegar! You made a naked egg, now what?! Shrink it and blow it back up again! You can also add black syrup and examine the inside! 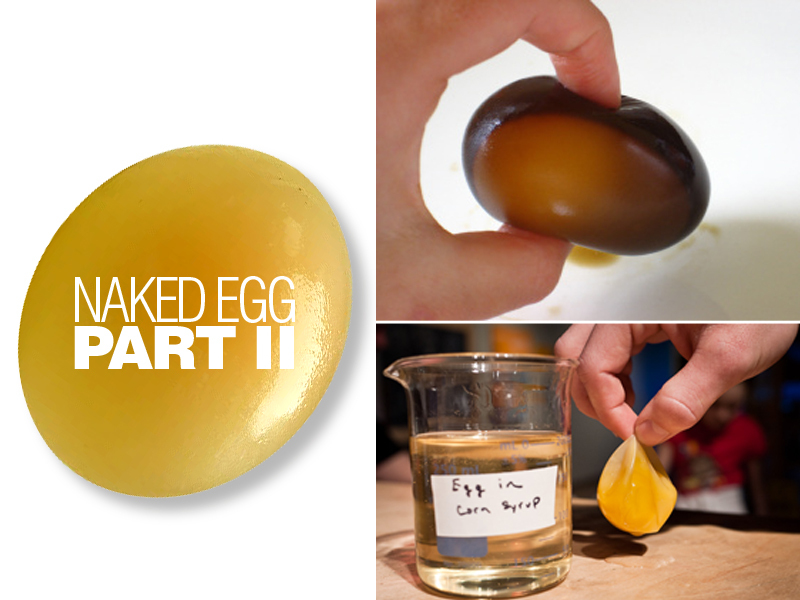 Check out The h bar for lots of twists on the classic naked egg experiment! Visit Toledo Imagination Station for an osmosis experiment! Kids shrink their naked egg with corn syrup. Then, they inflate it with water! To learn all about eggs, check out Egg Fun! Egg Geodes - crystallize an egg shell!